John P. Carleton was a true skiing pioneer in the north eastern United States and was present for many firsts including: being among the first to climb and ski Tuckerman Ravine’s Headwall and being a member of the first US Ski Team at the Olympic Games. John P. Carleton was born on September 13, 1899 in Hanover, New Hampshire. As a youngster, he jumped in the first Dartmouth College Winter Carnival in 1910. As a school boy attending Phillips Andover Academy, John competed in both Nordic and alpine events. After graduating, he enrolled at Dartmouth College where he was captain of the Dartmouth Team. Carleton later went on to captain the Oxford University Ski Team while attending the prestigious school as a Rhodes Scholar. He received his legal education at Oxford and became a partner in the law firm of McLane, Carleton, Graf, Greene & Brown. He was also a veteran of both World Wars I and II. The only non-Scandinavian member of the first United States Olympic Team, he competed in Chamonix, France in 1924 in the nineteen kilometer cross-country event as well as the nordic-combined where he placed 22nd. His feats in the East were legendary. To everyone’s amazement, he perfected a somersault he’d learned from Gustav Paulsen of the Nansen Club in Berlin, New Hampshire. “Ace” Carleton’s loop-the-loop became a mainstay of the Dartmouth Winter Carnival for a number of years. Although Carleton’s acrobatic feats undoubtedly drew people to the meet and interested many youngsters in the sport of skiing, he was more that an acrobat on skis. He was one of America’s top pioneer athletes as attested by his championships in the Eastern U.S. and Europe in both Nordic and alpine events. He and his good friend, Charles N. Proctor, first climbed and skied sown the 50-degree headwall at Tuckerman Ravine in 1931. Since there was a shortage of terrain for alpine skiing, Carleton had called on James E. Scott, supervisor of the White Mountain National Forest in 1932. As a result the New Hampshire Development Commission, which was already promoting the sport, formed a committee to develop trails specifically for skiing. When Carleton received state funds in 1932, the CCC set to work on fifteen trails – which were later criticized for their difficulty. In 1932 Carleton competed in the Eastern Amateur Ski Association’s first Downhill Championship race on Mount Mooselauke, near Warren, New Hampshire. Although informal for spectators the race was deadly serious for competitors. It was held on a long, winding trail down the mountain, requiring extreme stamina and determination to negotiate. Carleton possessed the fortitude to perform fearlessly in any situation on skis. 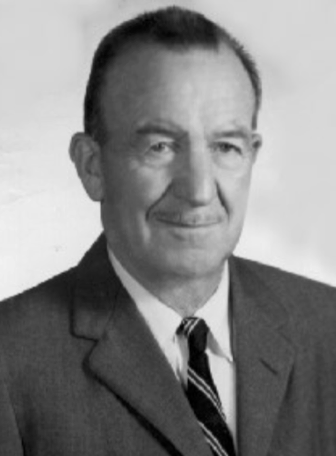 John P. Carleton was elected to the U.S. National Ski Hall of Fame in 1968. If you notice any errors or inconsistencies in John P. Carleton's bio, click here to let us know.